Die Cast Fire Engine with Lights & Siren - spacekids - space toys, dressing up costumes, kids spacesuits, astronaut food, cool space stuff! 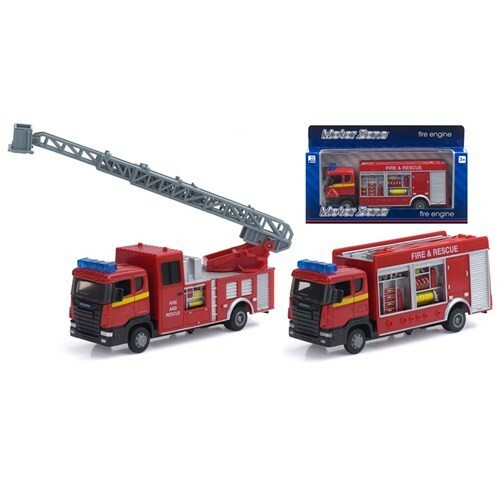 A fun fire engine toy in 1:48 scale about 16cm long. A button on the engine makes the lights flash and siren sounds. Choose one of two designs or we will choose one for you. If you buy two, we will ensure you get one of each design.